The Centennial art department continues to make great strides in the art community. The achievements have all been won by student artists, and their entries into these contests showcase significantly what Centennial’s art program is capable of. In April, junior Katie Harris, enrolled in Art III AP, won first prize in the 2018 Elijah Cummings Congressional Art Competition with her charcoal piece Self Portrait With Pashmina. She is one of eight student artists in the state who received first place in this Congressional Art Competition. Harris’s artwork will be displayed in the tunnels under the US Capitol Building in Washington DC for the following year. 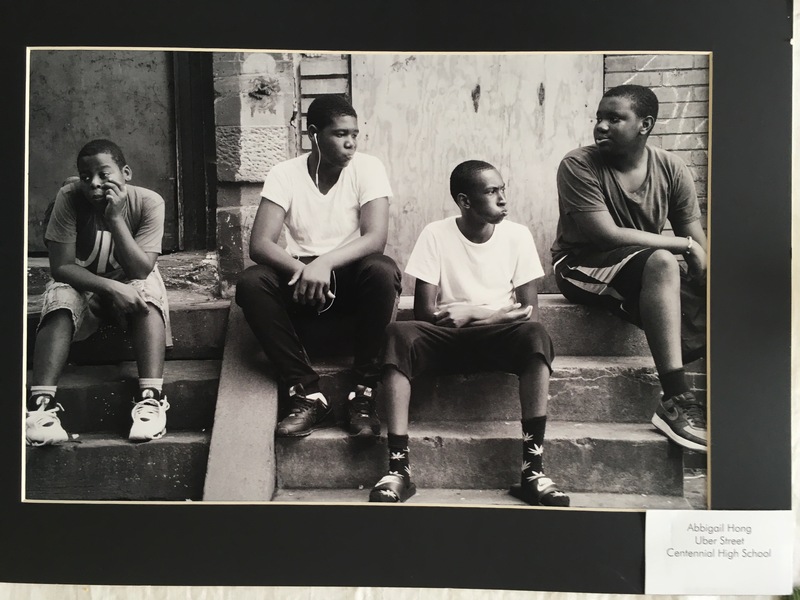 Senior Abbigail Hong, enrolled in Photo III AP, recently took home the curator award from the Reginald F. Lewis Museum of Maryland African American History & Culture through her photograph titled Uber Street. In addition, junior Bingbing Chang won first place in the Baltimore & Ohio Railroad Historical Society Art Contest. Her winning artwork will be featured on the back cover of the Historical Society’s quarterly magazine, and she will receive a 1-year student membership to the society. The marks that these students have made upon these events have shown their own hard work and persistence out of hundreds of pieces that are considered for these places every year. The students who received these significant awards represented Centennial with pride and dedication to their art, and will continue to make the Centennial community proud.